Gregory Edgeworth is the fair and beloved ruler of an idyllic kingdom, with his son in line to succeed him after many years to come. His advisor, Manfred von Karma, has other ideas. A slight against his dignity in the royal court becomes an all-out assault on the royal family. Phoenix Wright, a royal guard, rides off in search of the captured prince. What he discovers when he follows the trail to its end is more desperate than he dared to fear. With a deadline hanging over both his and Prince Miles’ heads, Phoenix must remind the prince of who he is. 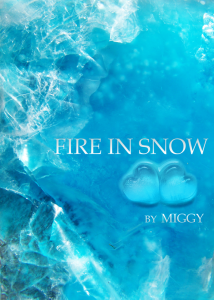 Inspired by the first AA game mixed with a loose melange of The Snow Queen, Frozen, Once Upon a Time, and the holiday season during which it was written. Download links for both .mobi and .epub formats are available here. If they do not work, or if you prefer to download in .pdf format, please use the AO3 link on the third tab. They have a download function of their own. A soundtrack is available that follows the story’s plot. You can choose to listen either on Spotify or 8Tracks. If you prefer to read on the web, or would like to use alternate download functions, this story can also be read on Archive Of Our Own.